Some of my favorite pieces of student work, completed while at Parsons School of Design. 2. 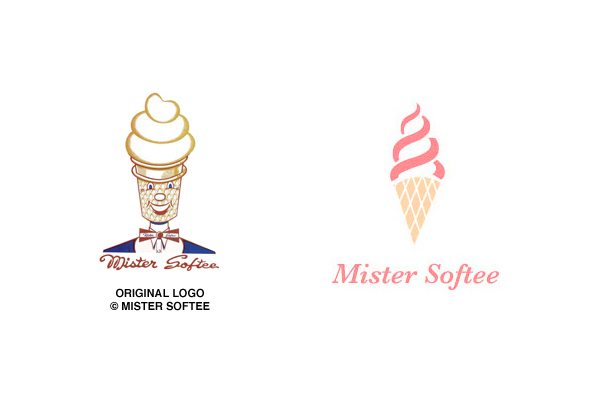 Mister Softee Redesign: the challenge was to redesign the 50s-era “cone head” logo of ice-cream truck giant Mister Softee into something more modern and upscale. 3. 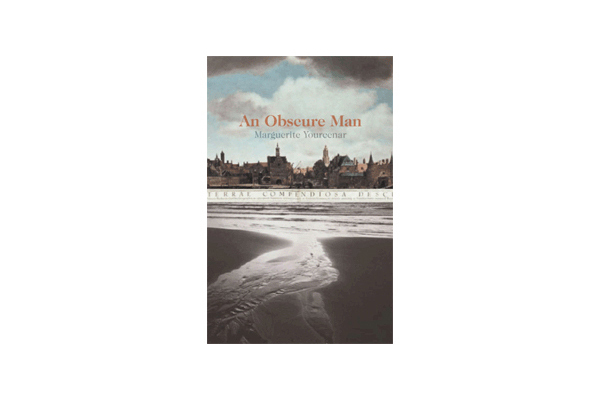 An Obscure Man: proposed book cover design for Marguerite Yourcenar’s 1982 novella An Obscure Man. 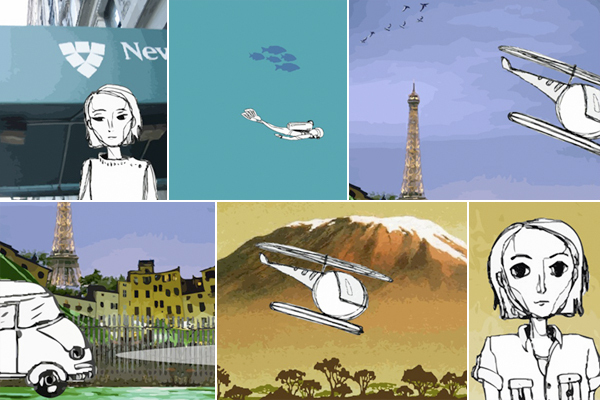 This introspective work of historical fiction involves a man who is caught between two worlds. Part of the largely illiterate working class, his knowledge of Latin allows him to function professionally within the upper sectors of society. Beginning in Medieval Europe and ending on a desert island, the story travels with him across the globe as he struggles to find where he belongs. 4. Bible Redesign: the assignment was to redesign the Bible for a twentysomething non-Christian target audience. 5. 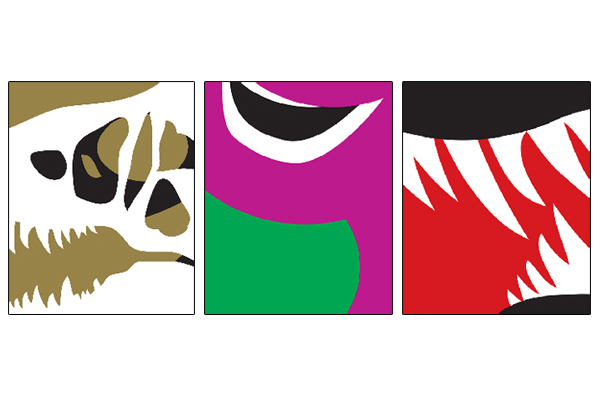 Dinosaur Graphics: these posters were created for use in a conceptual exhibition called Dinosaur Graphics, intended to highlight how artists and designers have visually shaped the public perception of scientific reality. Since we have never co-existed with dinosaurs (sorry, creationists), all of our visual ideas about the way they looked are designed interpretations based on the fossil record and the appearance of current animals. From textbook illustrations to special effects in feature films, dinosaurs are very much alive in our imaginations thanks largely to the work of visual artists. The exhibition sections, represented by the three posters, were Designing Science, Cartoon Images and Movies & Media. 6. 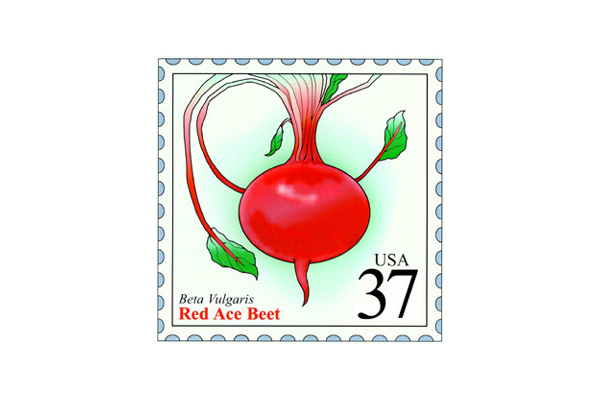 Beet Postage Stamp: the Parsons application entry exercise involved designing a postage stamp featuring your favorite vegetable.